If you have pets or young children, you may feel as though investing in quality flooring is a waste of money. Because of high traffic or accident-prone family members, you may think you must sacrifice style for flooring that is easy to clean and stands up to abuse. Perhaps that was once the case, but today homeowners with active families have durable flooring options that are also beautiful. Shaw Floors offers innovative products that are able to withstand the wear and tear that comes with day-to-day life while retaining the look of gorgeous, high-end flooring. The Shaw “Life Happens” collection of carpet was designed for just that reason — because life happens. 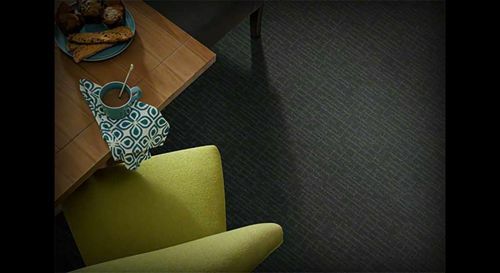 This waterproof carpet offers a level of protection you can’t find anywhere else. Not only is this carpet waterproof, it’s also stain resistant. Other carpets absorb liquids; this carpet repels them. The Lifeguard Core protects your padding and sub floor from water damage. In addition to all of this stain-fighting power, Life Happens is available in colors and patterns that are modern and stylish. 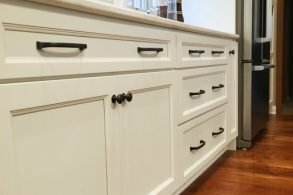 Your options go way beyond basic beige, so you can have fun with your design while knowing it will look lovely for years and years. But what if hardwood is your flooring ideal? Shaw has a solution for that, too. 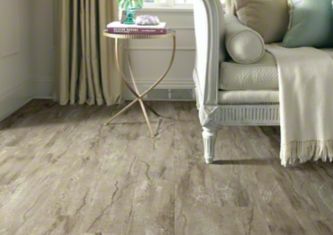 Shaw’s luxury vinyl flooring product, Floorte, uses high-definition printing to create the look of hardwood or tile on vinyl. This advanced technology creates a product that has the strength and durability of vinyl, with all the beauty of a hardwood floor. Floorte is also waterproof and easy to clean, making it a great choice for growing families. If one of these durable flooring options sounds like the right fit for your family, contact us. We can answer your questions, show you samples, and help you choose the right flooring for your lifestyle and budget. We’ll help you find a flooring solution that can handle day-to-day wear and stay looking wonderful year after year. Don’t let the spills and messes of life keep you from having the floors you want. ACo can work with you to find the perfect solution!